ZYXI is gaining market share in huge addressable markets. Recent uplisting should attract institutional investors. Electrotherapy is a weapon in the fight against the opioid epidemic. Non-invasive blood monitoring device is pending regulatory approval. 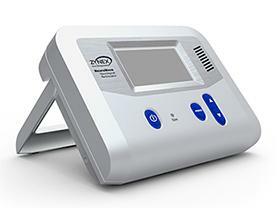 Zynex (ZYXI) manufactures and markets FDA-approved electrotherapy devices and related supplies for the treatment of chronic and acute pain and for muscle rehabilitation. There are several catalysts in play that have and are likely to continue to propel the stock share price higher. The global pain management market is expected to grow at a CAGR of 8.4% over the next five years, according to Forrester Research. Taglich Brothers research provides a wide range of industry forecasts that positively favor ZYXI. What was particularly interesting and informative about their report was that Medicare ceased paying for the use of electrotherapy for back pain in 2012, and subsequently, the entire electrotherapy sector was negatively impacted. I researched it and found that Medicare would pay only for those patients enrolled in a clinical study of electrotherapy for back pain. The Taglich Brothers report indicated that demand for electrotherapy has accelerated and that the sector has recovered from that setback. ZYXI withdrew from accepting Medicaid reimbursement a few years ago, and last month reactivated its Medicare provider number to help accelerate sales. ZYXI turned into a profitable company in 2016, gaining market share from the elimination of its major competitor. ZYXI was uplisted from OTC to Nasdaq in February. The uplisting makes the stock more attractive to institutional investors, who currently own less than 1% of the float. Management has been very active in participating in trade shows such as the upcoming Spring Investor Summit. Electrotherapy, as opposed to drugs used for pain management, has no side effects and is available at much lower cost. One area where the company is focusing its marketing campaign is to address the heroin epidemic. The Centers for Disease Control and Prevention reported in 2016 that over 100 million Americans experience chronic pain. While this number remained relatively unchanged from prior years, prescription opioids have quadrupled. The American Physical Therapy Association put out a guide for physicians on when to prescribe opioids as opposed to physical therapy. The opioid epidemic continues to be a serious issue in this country. And we’re increasingly working to get patients off opioids and for physicians to use our prescription-strength technology as the first line of defense when treating pain. 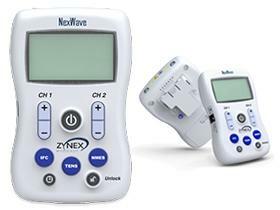 The NexWave is used to relax muscle spasms, to improve blood circulation and for muscle rehabilitation by the use of electric currents. Its advantage over competing devices is that it offers three modalities in one device: Interferential Therapy, Transcutaneous Electrical Nerve Stimulation (or TENS), and Neuromuscular Electrical Stimulation (or NMES). Management believes that there is no other product on the market that offers the same technology or capability. Click here for Other devices offered. 60 direct sales reps were added in 2018 to the 100 legacy reps, which resulted in a 33% increase in orders for 2018 over 2017. Revenue grew 39% to $31.9 million from $23.4. Device revenue increased 36% to $6.8 million, compared to $5 million the prior year, while supply revenue increased 36% to $25.1 over $18.4 for the same period. Increasing device revenue leads to increased supply revenue, which provide steady, higher-margin, recurring revenue. Gross margins improved to 80% for 2018 as compared to 79% in 2017. ZYXI also sells private-label supplies and medical products, in addition to the company's own products through its growing sales channel. ZYXI has a fully developed, patented blood volume monitor that is pending U.S. and European regulatory approval. This is the first device that offers non-invasive detection of loss of blood and internal bleeding. According to the investor presentation, blood monitoring is a $3 billion industry worldwide. It's nice to see insiders have skin in the game. Mr. Sandgaard is personally invested in ZYXI, as he owns a little over 50% of the float. The company paid out a special one-time dividend of $0.07 in January and completed its first share buyback program in March 2018, purchasing 495,091 shares for $2 million at an average share price of $4.04. Under a new $2 million buyback plan authorized in May 2018, ZYXI has purchased 524,129 shares for $1.7 million at an average share price of $3.20. The share buybacks not only supported the stock price, but it has been very profitable for the company - a gain of about $1.6 million on an investment of $3.7 million. The stock price took off on expectations of uplisting and has been under consolidation, hovering above critical moving averages which provide strong support, and is forming a base for another run-up. The rate of injury due to faulty medical devices has been rapidly rising in the U.S. ZYXI compares favorably to other medical device manufacturers in that it is highly unlikely that a patient will be injured by one of its devices. The company compares favorably with other medical device manufacturers with a gross profit margin of 80% and operating margin of 32%, as opposed to averages of 42% gross profit margin and 1% operating margin for the group, according to data from CSI. The average cost of goods sold for the medical device industry is about 40% of total revenue, while ZYXI costs came in at a 71% of total revenue due to expansion of the sales force. It is likely that the company will retain more of its revenue this year and costs will be more in line with industry averages. ZYXI currently does not have exposure to tariffs or trade wars, as all its suppliers, manufacturing and sales are domestic. ZYXI has a slightly higher earnings growth rate at 30%, as compared to the average rate of 26% for medical device companies. Applying a P/E group average of 24 results in a price target slightly above $8/share, or 35% higher than its current price. There is the possibility of a 50% gain or greater, should regulatory approval for the blood monitoring device come through. Revenues are almost totally influenced by insurance reimbursements. Changes in insurance coverage or health plan laws could adversely affect the company. Technology is constantly changing, and there is always the possibility that a competing device will be better received by the public. This is a small-cap stock and subject to more volatility than a large-cap one. ZYXI has undergone a remarkable comeback from suffering losses that cast doubt on its ability to survive, transforming into a profitable company with growing revenues. 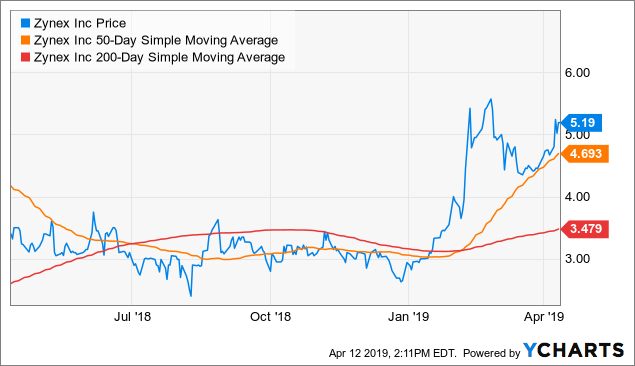 This is a high-margin, zero-debt machine which generated $9.4 million in positive operating cash flows during 2018, almost doubling its working capital to $8 million at the end of the year compared to $4.4 million Y/Y. The company has scaled up its sales force and continually adds new products. Approval of the non-invasive heart monitor has the potential to spike the stock price higher. This is a growth stock with kickers. Thank you for reading. I write mostly about small-cap stocks and welcome discussion on my articles. Please click to "Follow" me if you enjoyed this article and wish to be notified of follow-ups to this one and all my new articles as they are published. Disclosure: I am/we are long ZYXI. I wrote this article myself, and it expresses my own opinions. I am not receiving compensation for it (other than from Seeking Alpha). I have no business relationship with any company whose stock is mentioned in this article.